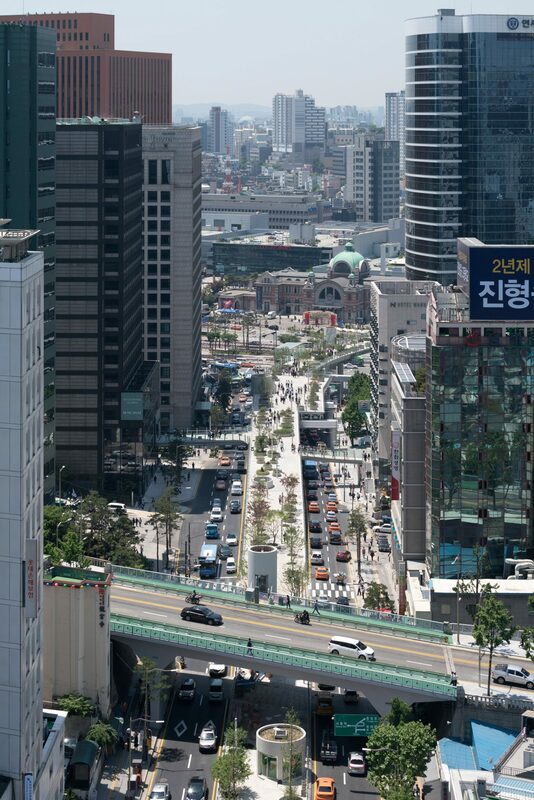 In the 1970s, an overpass was built to connect the eastern and the western sides of Seoul Station. 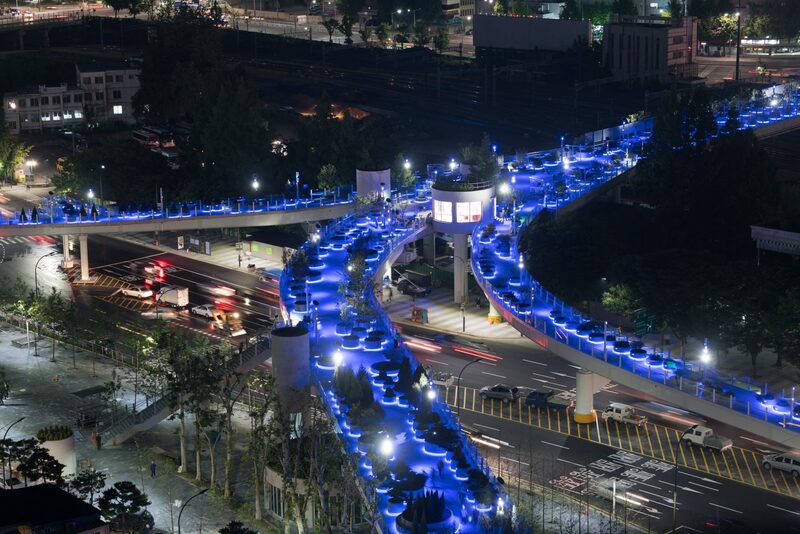 However, the bridge had to be closed to road traffic due to safety issues. 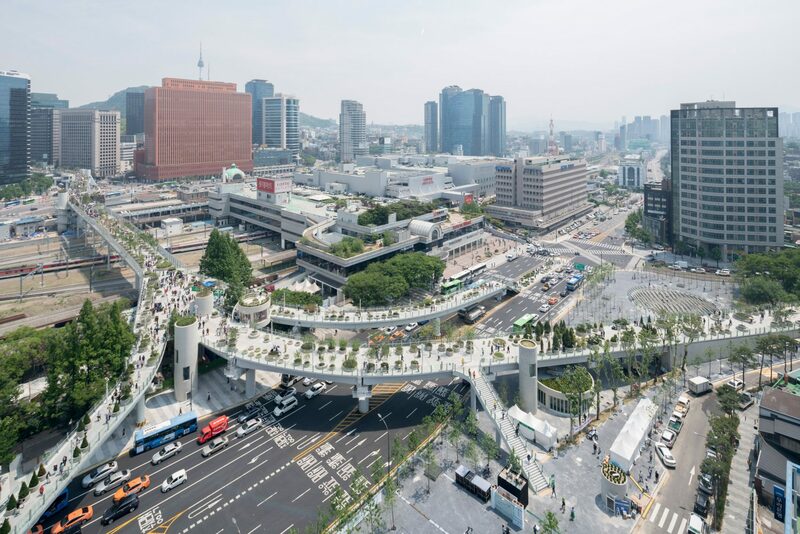 Now, thanks to a Dutch-based architecture firm’s creativity, the abandoned overpass is now set to be one of Seoul’s top tourist attractions as it is transformed into a sky garden. 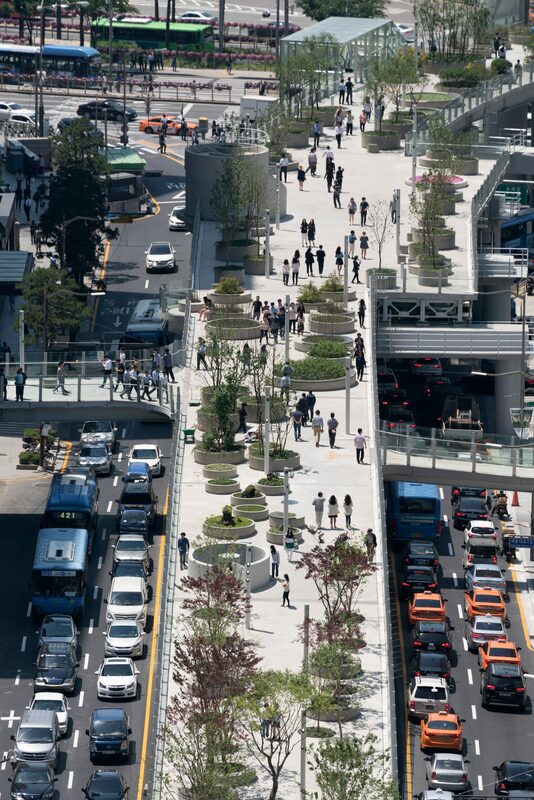 Seoullo 7017 gets its name from being a traffic road in the 70s to a sky garden in 2017. The ’17’ also carries a deeper symbolic as it signifies the sky garden being divided into 17 unique sections and 17 metres above the ground. 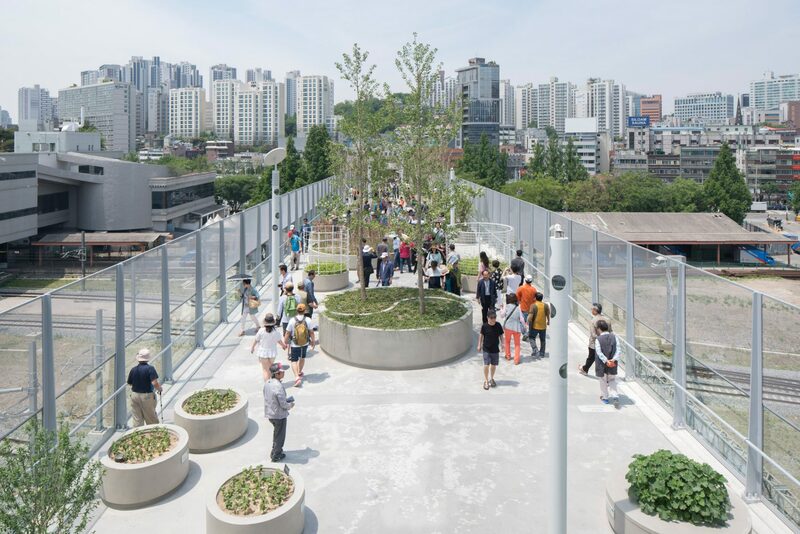 The 983-metre long park contains 24,000 trees, shrubs, and flowers set into cylindrical planters. The walkway is connected to hotels and shops by a network of bridges and stairs. 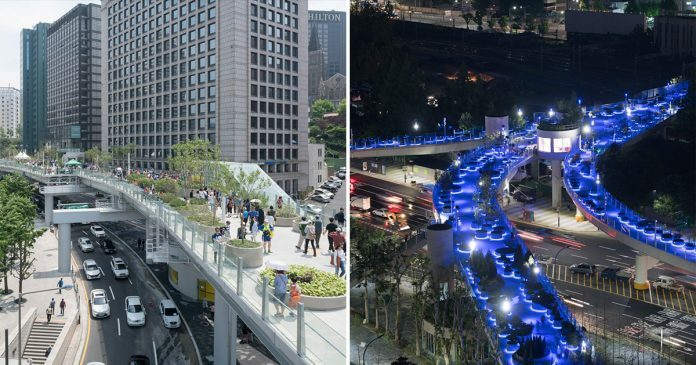 Loops of blue lighting surround the plants in the walkway, offering a contrast to the city’s yellow-toned street lights. The walkway project mirrors the New York’s High Line project which James Corner Field Operations and Architects Diller Scofidio and Renfro created in New York. The 1.5-mile park winds through 22 blocks of Manhattan on a former elevated railway. 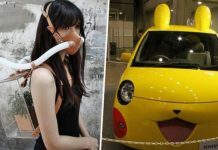 Do you agree with this kind of project? 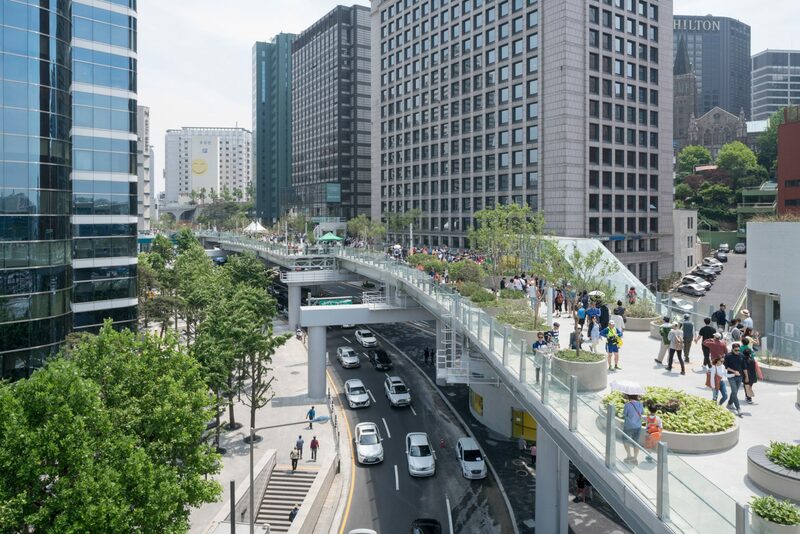 Would you prefer to have this kind of walkway in your city? 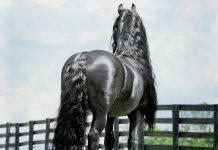 Share your thoughts. Next articleFather tries to teach his baby daughter to say ‘papa’—her response is absolutely hilarious!